Novitec Rosso, the same tuning firm that brought us the Ferrari 458 Italia and the Race 606 Carbon Ferrari California, debuted its latest Maranello Monster at the Geneva Auto Show. We’ve been hearing the rumors for a couple of weeks and it’s actually true that they have created a more insane version of the 599 GTO. This car is the ultimate Ferrari of the moment – there is no supercar level (Enzo) model available and if you want the very best that a prancing horse can deliver, then the 599 GTO will have to suffice. Luckily, there are enough crazy rich guys out there for a company like Novitec Rosso to exist and be able to bring us Ferrari GTOs with almost 900hp! Not much was done to the exterior of the Ferrari in terms of aerodynamics, but the makeover provided for the engine more than makes up for whatever they did do on the outside. Still, Ferrari lore is not lost on the tuners at Novitec Rosso and their paintjob brings back a storied car of Ferrari’s history . The thing that tends to happen with tuning firms is that the original character of the car and the manufacturer are replaced with flashy wheels and oversized wings. Novitec has managed to restrain themselves and respect the 599 for what it is while still getting more power out of the mighty V12. Anything else done to the vehicle is just icing on the cake. 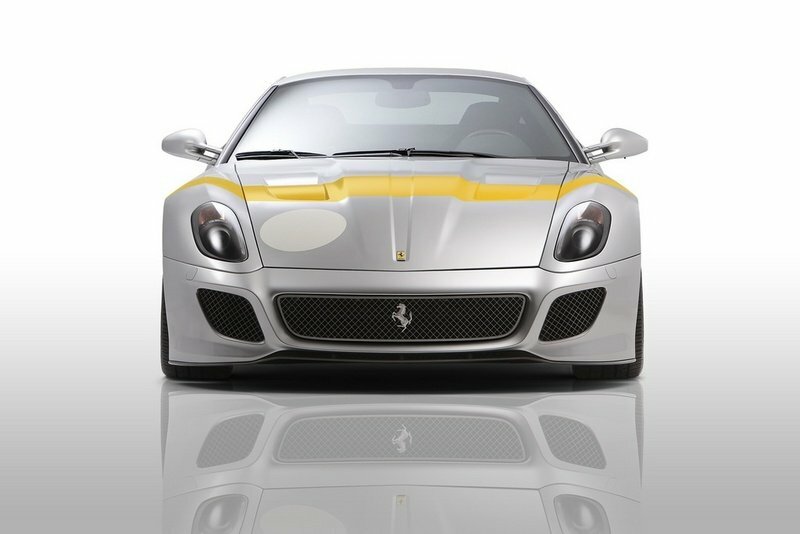 UPDATE 03/02/2011: This review has been updated with the Novitec Rosso Ferrari 599 GTO’s full specs. 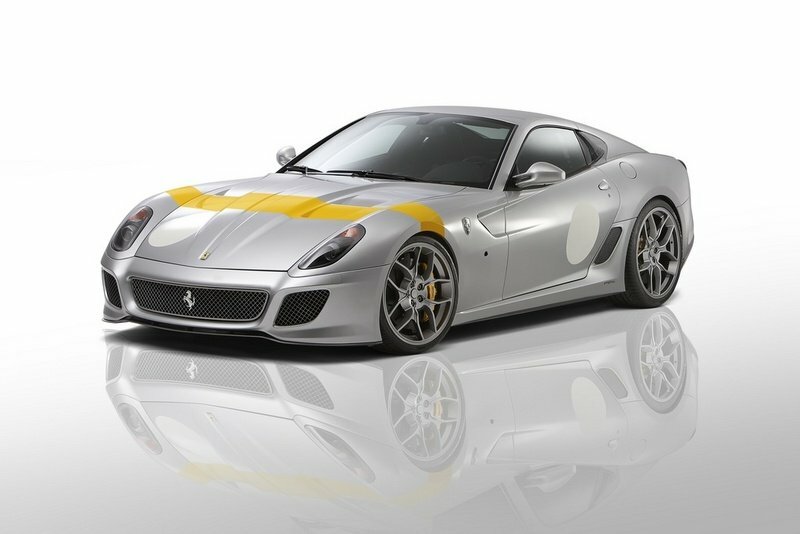 UPDATE 04/03/11: Novitec Rosso has released a walk-around video of their tuned up Ferrari 599 GTO. Words are great and all, but it doesn’t beat watching the a run-around of the car’s exterior and interior. 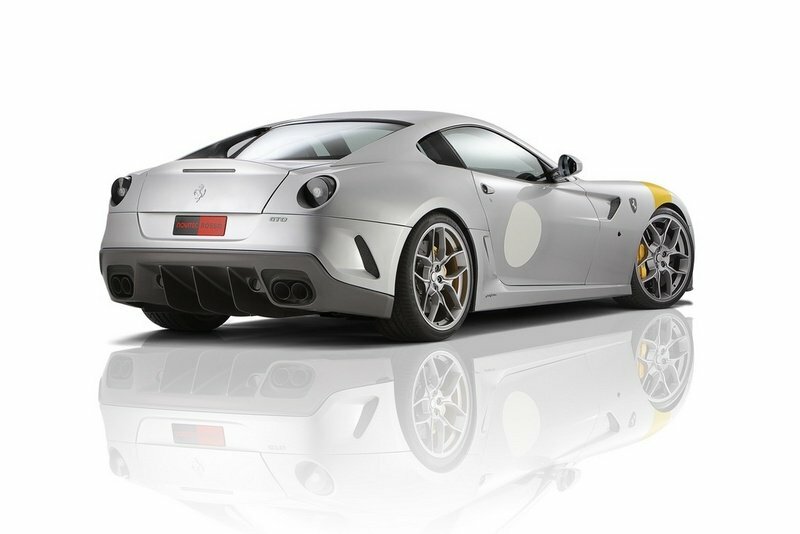 Hit the jump to read more about the Novitec Rosso Ferrari 599 GTO. With the extra amount of power coming out of the car’s engine, it’s not exactly surprising that the tuner left the exterior largely untouched. Weight reduction was the goal when Novitec Rosso worked in a new set of custom-tailored forged wheels that were about 10.4 kilograms lighter than the Ferrari’s standard wheels, making them the lightest in their class. Other than that, Novitec just added new sport springs that raise the car by about 40 millimeters with just the touch of a button and a special silver body and yellow cross stripe paint job reminiscent to the Ferrari 250 GTO racing car with chassis-no. 4153. 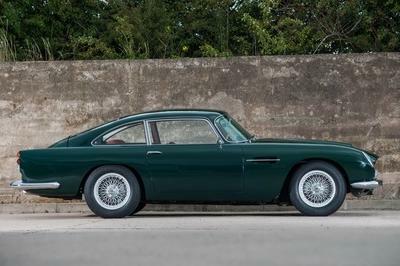 That historic car won the Tour De France in 1964 and has been remembered as one of the most original Ferrari paintjobs, opposed to those that range from red to, well, red. If the modifications for the exterior were minimal, than you might expect the interior to be left alone as well. Novitec will gladly leave the interior of your 599 alone, but for those who want a personal touch than the entire cabin can be redone with exclusive interior options and colors. Enough with the pansy makeup of the car, now it’s time to get down to the nitty gritty. In order to receive that monstrous 218hp increase, the tuner is offering a large water-to-air intercooler with a dedicated water circuit, performance air filters, a custom intake manifold, and high-performance injectors. The high performance exhaust system is made out of stainless-steel finished in four 90mm tailpipes that are coated black. The Manettino system on the steering wheel controls bypass valves and can alter the sound of your exhaust system at the push of a button. Add an ECU remap and a twin-compressor system, and the Ferrari 599 GTO is ready to launch itself from 670hp to a breathtaking 888 HP at 8,400 rpm and a peak torque of 862 Nm at 6,600 rpm. The superchargers are driven by a cogged V-belt like other Ferraris, but the special part is that it has its own dedicated oil circuit. In order to ensure that the big Ferrari engine does not tear itself to pieces under immense pressure, the boost has been limited to 0.45 bar. With the new output, the 599 GTO delivers a power-to-weight ratio of 1.74 kg / hp. The sprint from 0 to 60 mph is made in 3.2 seconds and 124 mph is achieved in just 9.1 seconds. Top speed goes up to an impressive 211 mph. 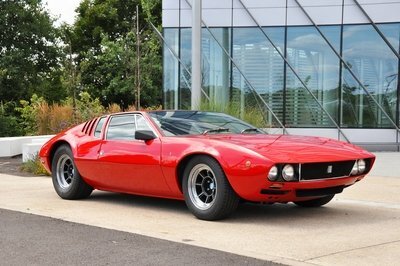 So, if the standard GTO can lap the Fiorano test rack in just 1 minute and 24 seconds, we have to wonder what this pumped version could accomplish. At some point power becomes an excess and the car is limited by other forces, but we know that a normal Ferrari sounds amazing so the exhaust note on this must be a humbling experience to encounter. The new Novitec Rosso Ferrari 599 GTO will undoubtedly be expensive beyond the initial cost of you having to purchase a Ferrari 599 GTO, but they have yet to release full details. 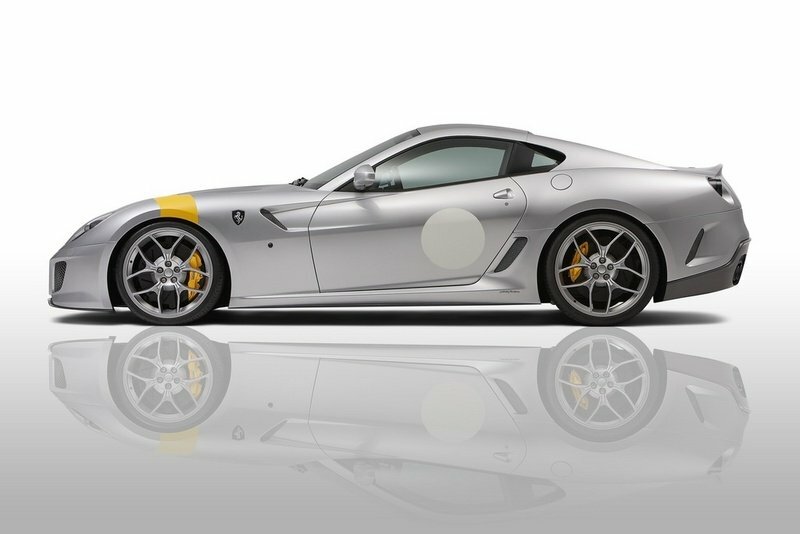 This is the first tuning package we have come across for the Ferrari 599 GTO, so package comparisons for the vehicle will be non-existent. However, to compare apples to apples, we took a look at a couple of the standard 599 GTO’s competitors - Porsche 911 Turbo, Mercedes SLS AMG, and Chevrolet Corvette ZR1, to name a few - to see of any of their tuning programs stacked up. What we found was that the Ferrari 599 GTO by Novitec Rosso is in a class of its own when it comes to power. The closest package we found for comparison was the 2011 Porsche 911 Turbo S by TechArt. 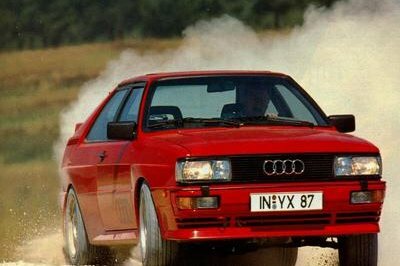 Their rendition of the 911 Turbo consisted of 620 HP and 820 Nm of torque with a 0-60 mph sprint time of 2.9 seconds, obviously better than the 3.2 provided by the Ferrari. It’s sprint to 124 mph was made in a slower 9.3 seconds and its top speed "lagged" at 206mph. For this one, it is simple to see. I just love how they maintain the simplicity of their work while giving the car a good amount added performance. 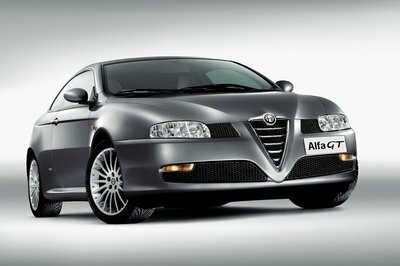 I just like how they maintain the simplicity of their work while giving the car a good amount added performance. it is simple to see, but if we focus our attention to what it can, we will really amazed also. I just love how they maintain the simplicity of their work while giving the car a good amount added performance. I think it is one of the best looking cars available now. This novitec is simple to see, but if we focus our attention to what it can, we will really amazed also. The developer improved the best quality of the cars they added additional feature for the combustion of engine. Novitec is one of my favorite tuners. I like how they maintain the simplicity of their work while giving the car a good amount added performance. Definitely one of the better 599 tune ups. I like the fact that they opted to go simple on the exterior, but instead focused on the interior. And that 218bhp boost is definitely something. Novitec is one of the tuners that I have closely followed for years. I like their simple exterior designs coupled with high performance parts. And those are what I am seeing with this Ferrari. Additionally, Novitec Rosso has installed a high-flow stainless steel exhaust system with a Manettino button on the steering wheel that allows the driver to adjust the exhaust note.The Race 848 uses Ferrari’s F1 Superfast six-speed gearbox, with longer carbon-fiber paddles for quicker shifts.They should have changed the huge ugly nostrils in the front to something better. The front now looks much better than a F430. The way it used to be in 360 modena. acceleration appears to be significantly slower. I agree, kinda like a Callaway model. Strange as I think the regular 599 is really nice. I am in love with the 599. 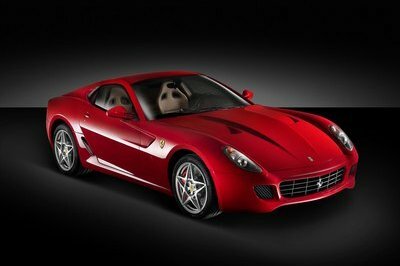 I am amazed buy how many people think the 599 is not good looking. I think it is one of the best looking cars available now.